THE family of Marc Ringland, shot dead last month as he robbed a Belfast filling station using a knife, have spoken publicly for the first time. Speaking exclusively to The Detail, the dead man’s father Billy Ringland and his sister Tracey accepted Marc was doing wrong – but questioned if his death was justified. And they say that the Ombudsman’s investigators who had access to the CCTV footage informed the family that there was no evidence that Marc had held a knife to anyone’s throat during the robbery at the filling station – contrary to media reports. 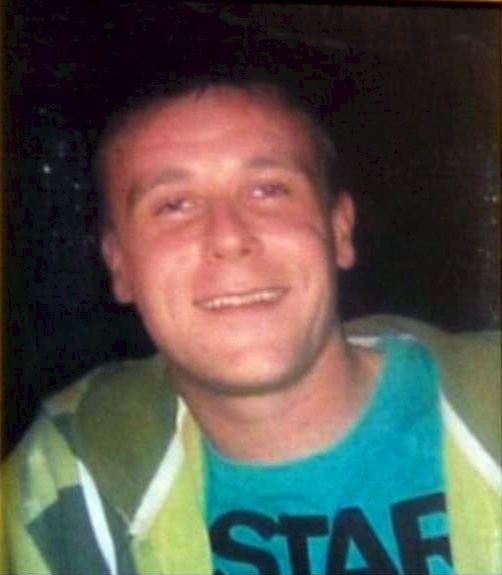 Twenty-nine-year-old Marc Ringland was shot dead by an off-duty police officer on February 3rd this year. At the time it was alleged he was robbing the filling station at knifepoint and had ignored warnings from the officer to drop his knife before the fatal shot was fired. The investigation into the off-duty policeman’s use of lethal force was carried out by investigators from the Police Ombudsman’s office and an interim report has been given to the Public Prosecution Service [PPS]. A spokesperson for the Ombudsman’s office says further reports are not yet ready for the PPS as inquiries continue. As the Ringland family waits for the PPS decision, they have reflected on the devastation of not only losing Marc in February but the sudden death of his mother Janet just a few weeks later. The family believe the media coverage in the aftermath of the shooting was manipulated to portray Marc Ringland as a hardened criminal who deserved what he got. His father Billy told The Detail the spin was to deflect attention away from the nature of the shooting. Was the force used by the police officer proportionate to the circumstances? That’s the crucial question for the investigators. The family does not accept the situation in the shop could only be resolved by the death of their loved one. Their solicitor Denis Moloney said they do not harbour any bitterness against the police officer. He said this was a tragedy for the Ringland family, a tragedy for the police officer and a tragedy for policing. Mr Moloney has urged the director of the PPS to move quickly. He told the Detail: “The family need this to be resolved soon so they can get closure and get on with their lives. Mr Moloney added that the most upsetting allegation for the family to face was that Marc Ringland held a knife to someone’s throat during the robbery. Even though the Ombudsman’s investigators told the family this was not true, they refused a request from the family and Mr Moloney to issue a statement confirming this. The family say Marc’s mother Janet died heartbroken, not only at losing Marc but also by the refusal of the investigators to publicly refute the allegation her son had held a knife to someone’s throat before he was shot. It’s a devastating blow for a family to lose two loved ones in quick succession and the Ringland family believe there have been deliberate attempts to blacken their name and stigmatise them.